Carl Francis is the Director of Communications for the National Football League Players Association. As Director of Communications, Carl is responsible for developing the internal/external strategy for the NFL Players Association. He has worked on developing numerous digital media campaigns to create better ways to communicate with NFLPA members and the public. He serves as the spokesman for the NFLPA before print, television, radio, digital and all sports related media. In 1994, his first year as Communications Director, Carl created a public relations campaign that assisted the media and players in understanding the nuances of the new free-agency system and the newly agreed upon Collective Bargaining Agreement between the NFL and the NFLPA. He closed the communication gap between the NFLPA and the writers by providing information on the NFLPA and free-agency system through mass mailings, e-mailing and creating an interactive presense on the NFLPA website. Carl holds several informal meetings with the media throughtout the country to discuss the objectives and goals of the NFLPA. In 1994, 1999 and 2000, he was a finalist for the Horrigan award given to the NFL official who exemplified hard work in assisting NFL writers do their job. Carl has spearheaded many NFLPA community related activities. In 1995, he spearheaded a $10 million media campaign for the UNCF NFL/NFLPA Scholarship Fund which generated contributions from NFL players and the NFL for young people to attend historically black colleges and universities. He forged a relationship with Steve Harvey to create a series of “Celebrity Family Feud Shows” featuring NFL players competing for prizes benefitting player charities which has generated over 25 million viewers. He currently manages the broadcast rights, marketing and media for the NFLPA Annual Collegiate Bowl, the post-season college football game for NFL draft-eligible college players which has been the highest rated event among college bowl games. 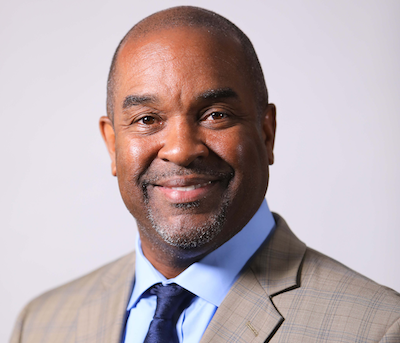 Carl works closely with the NFLPA Wellness Initiative in coordinating panels discussion, creating marketing campaigns and assisting athletes understanding the importance of mental health. He also created the NFLPA Black College Pro Player Award given to an active player in the NFL who attended an Historically Black College or University. The award is presented at the Black College Football Hall of Fame in Atlanta, GA. He currently serves as an Adjunct professor at Georgetown University in their Graduate Sports Industry Management Program where he teaches Sports Communications/PR. He also taught a week long course in sports public relations as part of sports cultural exchange program in Dohar, Qatar. Prior to joining the NFL Players Association, Carl spent two seasons with the Washington Redskins public relations staff. Carl is an active member of the National Association of Black Journalists, Public Relations Society of America and Virginia High School League Foundation and Omega Psi Phi Fraternity, Inc. He has been featured on a number of panels across the country discussing communications in sports. Carl is also very active in his hometown of Hampton, Virginia. He is co-founder of the Hampton Roads Youth Foundation which assist high school athletes with free SAT Prep courses and technology tutorial programs. Under his foundation, Carl annually coordinates a free two day football camp, a recruiting jamboree, tailgate event with Pittsburgh Steelers Head Coach Mike Tomlin. A native of Hampton, Virginia, Francis recieved his B.A. in Journalism and Communications from Virginia Union University.